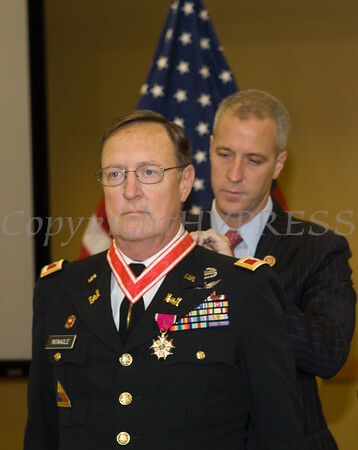 Rep. Sean Patrick Maloney presented Colonel James P. Monagle with the Legion of Merit Medal during a ceremony at the Armed Forces Reserve Center at Stewart Airport on Friday, October 17, 2014. Rep. Sean Patrick Maloney presented Colonel James P. Monagle with the Legion of Merit Medal during a ceremony at the Armed Forces Reserve Center at Stewart Airport on Friday, October 17, 2014. Hudson Valley Press/CHUCK STEWART, JR.